Data loss - these are terrifying words, but now you have a reliable antidote that restores everything that can be restored. 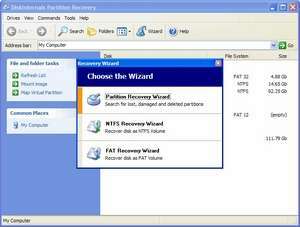 DiskInternals Partition Recovery recovers deleted, lost, damaged or reformatted partitions, virtual disks and all information, which can be stored on them. Corrupted MBR or MR are not the cause of worries, if you have this smart tool. It supports FAT and NTFS. DiskInternals Partition Recovery 6.1 is a shareware program and can be used as a demo to try the software until the free trial period has ended. A full version of the program is available after the trial period ends. For security reasons, you should also check out the DiskInternals Partition Recovery download at LO4D.com which includes virus and malware tests. Additional screenshots of this application download may be available, too. DiskInternals Partition Recovery has a presence on social networks.